Nothing makes a teacher feel like a failure more than having students who can’t read and not knowing how to best help them. Especially when you are an upper elementary teacher. In my first few years of teaching, helping struggling readers in 5th grade felt like an uphill battle. I was constantly fighting huge gaps in knowledge, disinterest, time, and increasing requirements of state assessments. I want to share with you the 10 ways that I have used to help struggling readers find success (and a love of reading). You will find as you read through these tips that they are a good balance of building the students’ interest and love for reading and helping them become more fluent readers. I believe you have to have both of these aspects to really make a difference with a struggling reader. Choose Your Own Adventure Books – These are a favorite each year. They love the interactive aspect of it and they really love the ones where they have to survive and could possibly die. This tip is everything for getting your students reading book after book in a series. I use this tip in my guided reading groups so I know the book is at their level. We spend about one to two weeks (depending on length of the book) reading the first in a series of books that I know the students can read and would enjoy. We spend a lot of time discussing and really just enjoying the book. No meaty analysis or tons of comprehension questions for this; just enjoying the book and hooking the students in to the characters. I also check out (or have them available in my library) all the books I can in that same series. I really build it up and tease the books but I don’t let them have them until we are finished with the first book. When we are finished with the first book, I finally put the rest of the series in front of them to talk about and choose the ones they want to read. This is the best time! Their excitement is palpable and even your most reluctant readers will be bartering to read the book they want to read in the series. I let each student choose one book and then I remind them that they need to quickly finish the book (a reminder is not even really needed but it creates a sense of urgency) so they can exchange it for another. I check in with the students once a week on the books and see how they are progressing through the series. This is SO important! One of the best ways to help struggling readers is to hold them accountable for their reading. But (and this is important), do it in a way that they don’t realize you are holding them accountable. Otherwise, they will see reading as a task or chore and that will defeat the purpose. One easy way I do it is through independent reading conferences. You can read more about how I conduct independent reading conferences that are very nonthreatening and help hold students accountable by clicking here. In addition to the independent reading conferences, I like to also have really informal discussions about books, too. This can be as simple as asking them how they are enjoying a book you chose for them (more about this in a minute) or asking them if they have gotten to the exciting/sad/scary part of a book. By mixing in independent conferences with these informal discussions, you are checking in with your students on a regular basis. This serves three important purposes: holding them accountable for their reading, getting them talking about books regularly, and getting them to see that reading is enjoyable and not a chore (especially if they see you enjoying discussing the books). In the section above I mentioned asking students how they are enjoying books you choose for them. This is one of my favorite ways to help struggling students. I love selecting books specifically for them. They will have a much greater chance of getting into the book if it was chosen just for them and chances are if you chose it just for them, it is right up their alley anyway. Going right along with this I really like (when time allows) to read the books I give my struggling students ahead of time. This helps me to really facilitate natural discussion and I can also tease the students through the book. 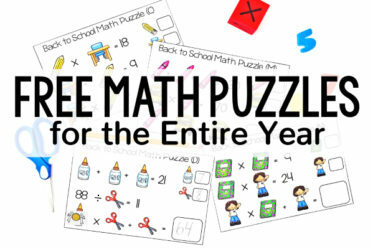 This will keep them engaged and excited to finish. Don’t have time to read all the books? Be honest and tell your students that you haven’t read a book when you give it to them but you are really interested. Ask them to keep you updated on the book so you can see if it is something you should really make time to read. Reading aloud to my students (all of my students- not just struggling ones) is my favorite part of the day. And it is so important to developing fluent and skill readers. I love it so much that I wrote an entire post with benefits and tips. You can check out that post by clicking here. This post shares a ton of information but I would like to point out here that you can double dip your struggling students by reading aloud to them in a small group in addition to reading aloud to the whole class. This way you can tailor what you read aloud (and your think alouds and teachable moments) to exactly what your struggling students need. It is really important that you keep an eye on how your students are applying the strategies you are teaching them. One way to do this is through the independent reading conferences mentioned above. Another way is through running records. Running records will give you valuable information about what strategies your students are using, what strategies they are not using that could benefit them, and any gaps in phonics instruction. This information will guide your instruction and help you know what you need to work on with your students. I keep track of all of my running records using this form. 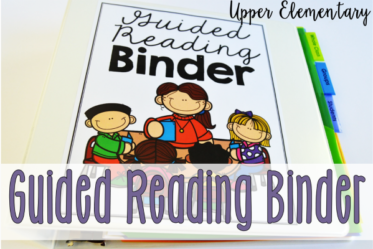 You can download this form (and all the other forms I use for my guided reading binder) by clicking here. Reading intervention should be rigorous and well-aligned with the needs of the students, but you can also make it fun! One thing that I love as a teacher is playing games with my students. It really helps you connect with the students and build the relationships. When you are working with struggling students, it is really important to have a good connection and relationship to be able to really make a difference in their reading levels. One way that I do this is by mixing my regular reading intervention (Leveled Literacy Instruction by Fountas and Pinnell) up with reading games. 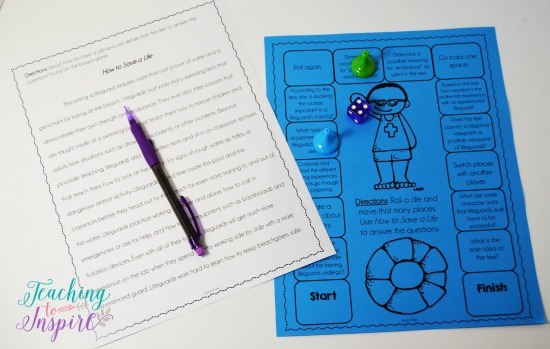 I use reading centers and games from my TeachersPayTeachers store. Each center comes with a text and then a game of some kind (either roll and answer questions or a game board). The students and I read and analyze the text (this is when I get my instruction in) and then (usually the next day), we play the game. My students typically pair up to play these reading games, but I like to be a player every now and then, too. When I play with them, I do a lot of think alouds, modeling how to find the answers, and really play up my excitement of the game. 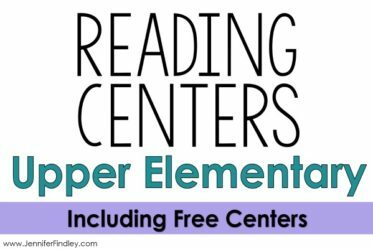 To see my Roll and Answer Reading Centers, click HERE. 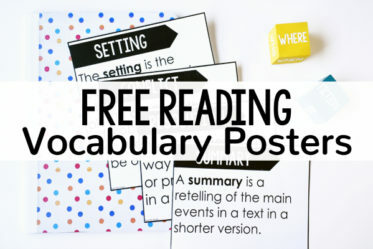 For my Reading Centers with Gameboards, click HERE. 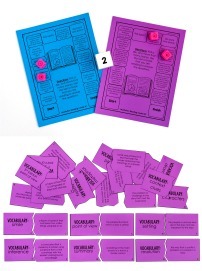 To see a heavily discounted bundle of both my types of reading games, click HERE. 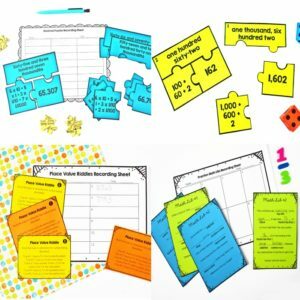 Embed teaching moments and phonics strategies in authentic reading situations so they can see the connections. Many times your students have received the traditional direct instruction but they need a little more. They need to see the strategy in action! As much as possible, try not to teach any comprehension skill or decoding skill in isolation. Rather, embed everything in the book you (or the students) are reading. 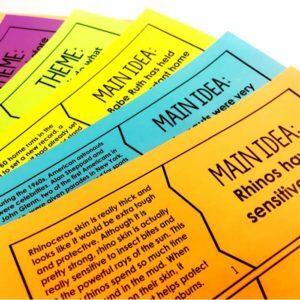 By doing this, you are making the learning authentic and the students will be able to naturally apply what they are learning from you to their own reading. There is nothing more exciting (to me, anyway) than talking about books with peers. As an avid reader, I get excited when I find another person who has read the same book I have read. As much as students love talking about what they are reading, some need that extra support to know how to talk about books. This took me a bit longer to figure out but by my third year teaching, I realized my students were not talking productively because I had not taught them how. From that moment on, I have taught my students explicitly how to talk about books from the first month of school. 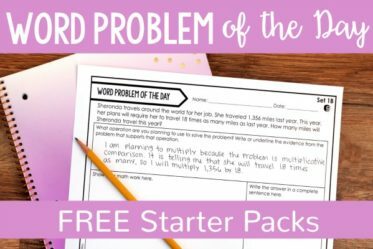 How does this help struggling readers? If students can learn to talk about books productively, it deepens their comprehension and their enjoyment. I also like to help my struggling readers discuss books by providing sentence stems for each reading standard that I teach. Not only will these sentence stems support their use of the language but they will also give them confidence to discuss books more freely. 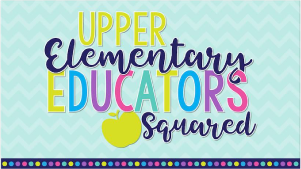 And the stems will help them be more successful with the grade level standards…which will increase their confidence as readers while also preparing them for state assessments and the next grade level. Here are examples of the sentence stems that I use to help my students discuss the books or texts they are reading. 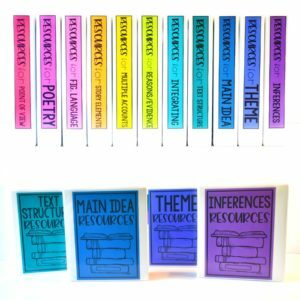 You can find these in my store for 3rd grade (click here), fourth grade (click here), and fifth grade (click here). Find lower level text that reviews the same skills or content. The good news is that all across the country states teach science and social studies skills at different grades. I am usually easily able to find text that is at a lower level for my students for most of my standards. Record yourself reading the science text or social studies text you use and provide access to the students to listen during a reading center or through google classroom if you are 1:1. If you teach a lot with the textbook (or textbook-like texts), you will definitely want to support your struggling readers while they read the grade level text. For more tips on how I do this, click here to check out a post about making textbook reading comprehensible (and enjoyable). 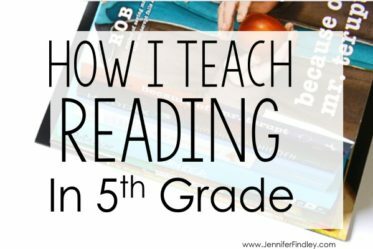 Whew, that was a lot but doing all those things (or even some of them) has really helped my struggling readers make gains in their reading level and their love of reading. 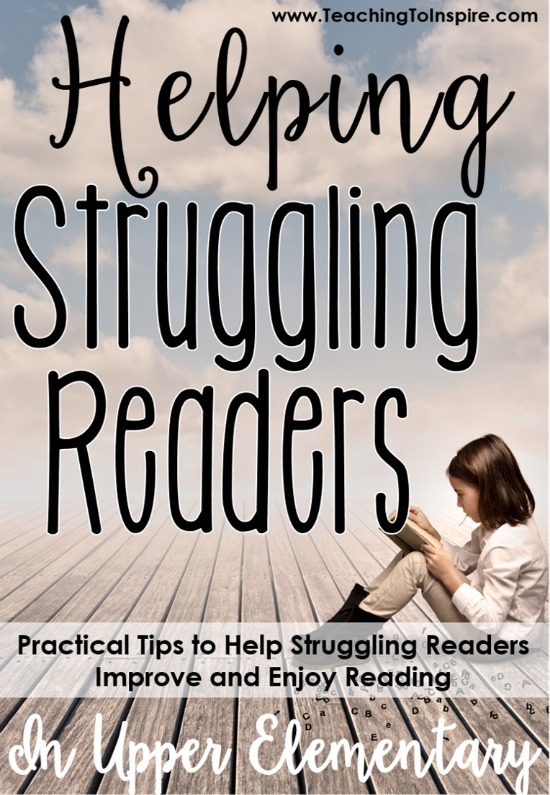 What do you do to help your struggling readers? I am always looking for more tried and true strategies. Let me know in the comments! I love this thorough guide. My favorite tip of yours is to hook them on a series. I have seen first hand how effective that is with my kids. Love your blog – have a wonderful week! Hi Claudia, that is my favorite thing to do, too! Thanks for visiting and thanks for your kind words! I agree! I think a series is a great way to help readers have a drive to read and an interest to continue reading. These are all such great tips! I especially like the idea of getting the students hooked on a series. I know when I get hooked on a series, I want the series to never end. I also love the idea of reading out loud to them. 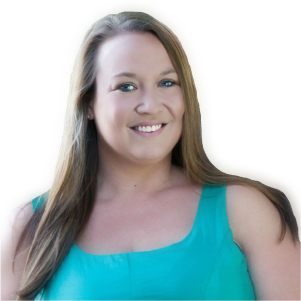 Thank you for sharing these awesome tips. My students seem to enjoy books that have become movies. This seems to motivate them to read the book first and then compare it to the movie. They enjoy the book more than the movie. I love that idea! That would be a great activity after they read the book and watch the movie. I’m sure they can always find something different between the book and movie.